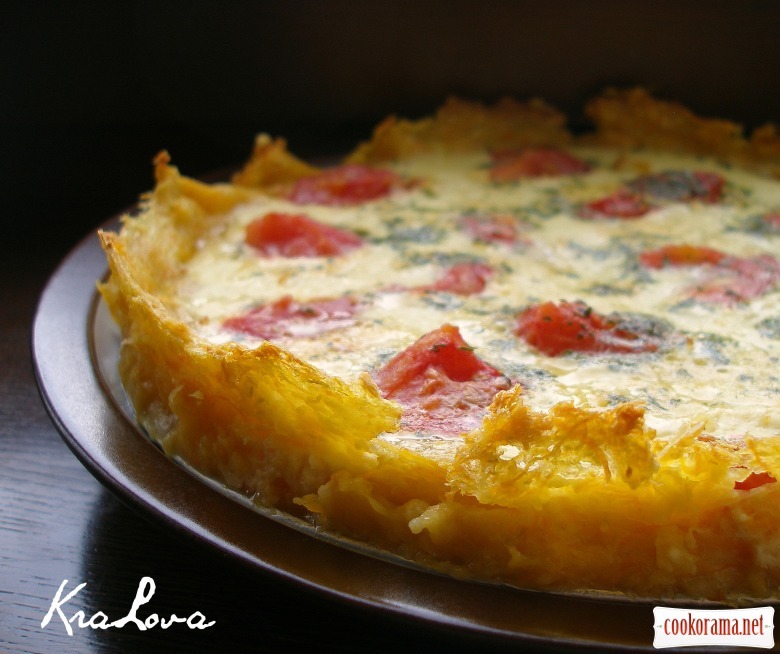 It`s a sort of «vegetable basket» – one of the most popular summer recipes. I strongly recommend you! 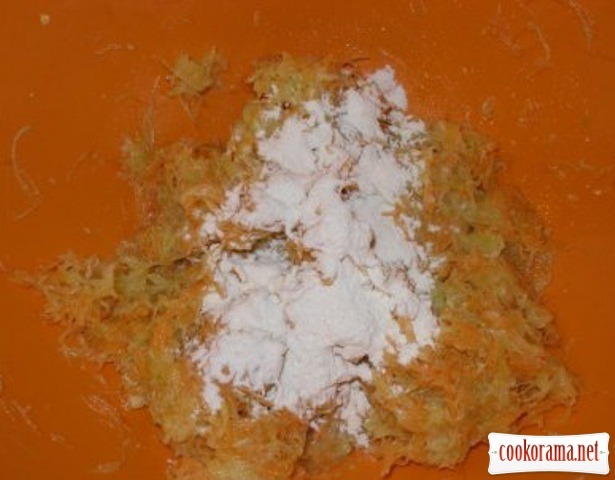 Grate zucchini and carrot and leave it for 10 min. Squeeze well. To get 2 glasses of pressed zucchini and 1 glass of pressed carrot. Mix them, add salt and flour. You`ll need from 0,3 to 0,5 glass of flour. 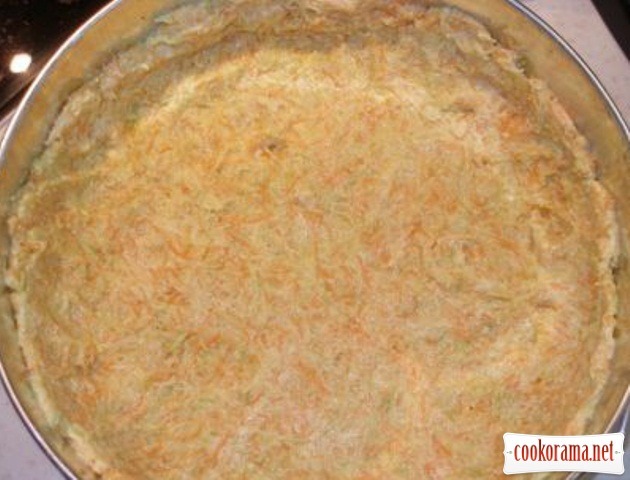 Grease the form with butter (better use of a detachable one) and spread vegetables, forming bottom and sides. Bake for 20-30 min in a preheated oven at 200℃. It`s that moment, when to bake longer is better. 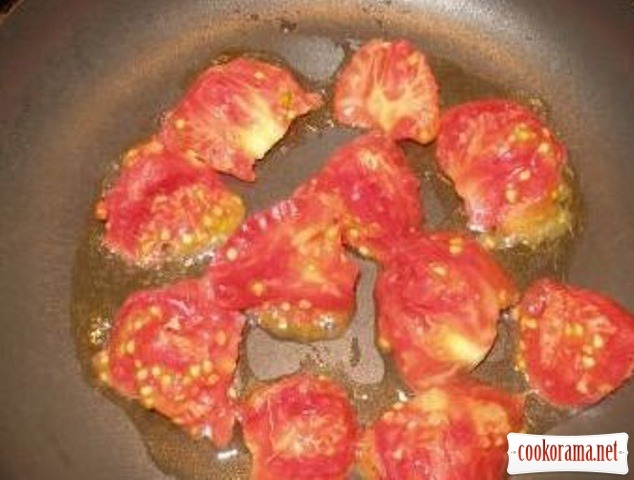 Slice tomatoes and fry them a little in oil. 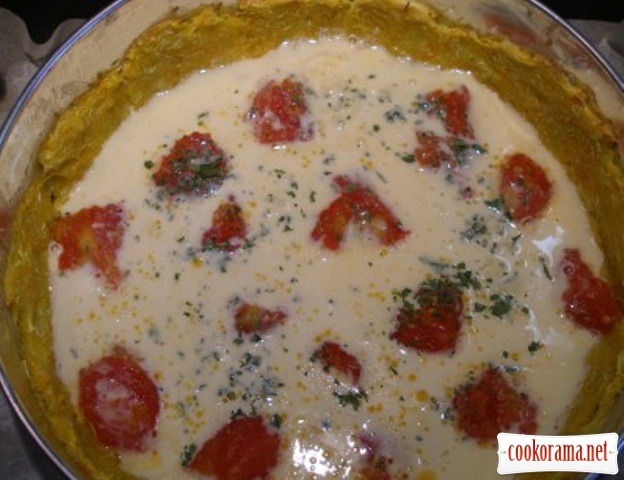 Put grated cheese on a heated pan, then fried tomatoes, salt, pepper. If you wish you can add greens and pour everything with slightly mixed mixture of eggs and milk. Bake at 180℃ for about 30 min. 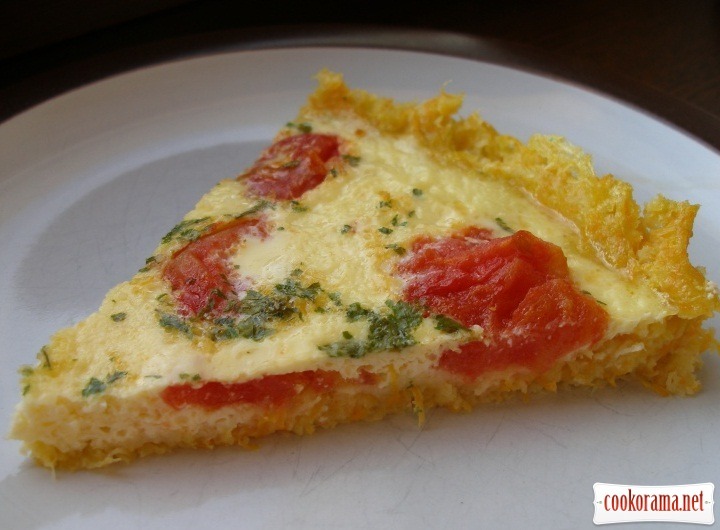 Top of recipe "Vegetable quiche (without dough)"
Смачно та дієтично! Для літа — саме то! Міла, так і є, дякую! Іра, це дуже смачна штука, — рекомендую! Ммм… Олю, яка чудова запіканочка! А без тіста те, що треба для фігури!!! Дякую, беру в закладки однозначно!